Laugh out loud with Madea and her entire family this holiday season when Tyler Perry’s A Madea Christmas – The Movie arrives on Blu-ray (plus Digital HD), DVD (plus Digital), Digital HD and Video on Demand November 25 from Lionsgate Home Entertainment. Written for the screen, produced and directed by Tyler Perry, who also stars as Madea, the hilarious holiday extravaganza also features Kathy Najimy (HBO’s “Veep,” TV’s “King of the Hill”), Chad Michael Murray (TV’s “One Tree Hill,” TV’s “Chosen”), Anna Maria Horsford (Friday After Next, Our Family Wedding), Tika Sumpter (Ride Along, Get on Up), Eric Lively (Deep Winter, The Butterfly Effect 2), JR Lemon (TV’s “The Night Shift”), Alicia Witt (TV’s “Justified,” Two Weeks Notice), Lisa Whelchel (TV’s “The Facts of Life,” TV’s For Better or For Worse) and Larry the Cable Guy (Cars, Cars 2, Delta Farce). Madea gets coaxed into helping a friend pay her daughter a surprise visit in the country for Christmas, but the biggest surprise is what they'll find when they arrive. 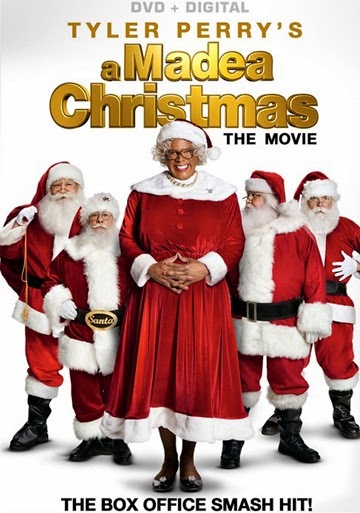 As the small, rural town prepares for its annual Christmas carnival, new secrets are revealed and old relationships are tested while Madea dishes her own unique brand of Christmas spirit to all. Including a first look at Tyler Perry’s first-ever animated feature, Tyler Perry’s Madea’s Tough Love, and a hilarious behind-the-scenes featurette, the Tyler Perry’s A Madea Christmas Blu-ray and DVD. I enjoy the Madea madness... and it's got Blair from "The Facts of Life"... she is still lovely!